monterey car week and the pebble beach concours d'elegance have transformed into something far beyond its traditional role as a celebration of classic and vintage automobiles. this year, monterey car week celebrated both retro-inspired and fully modernized variations of timeless cars, such as the jaguar e-type electric conversion. 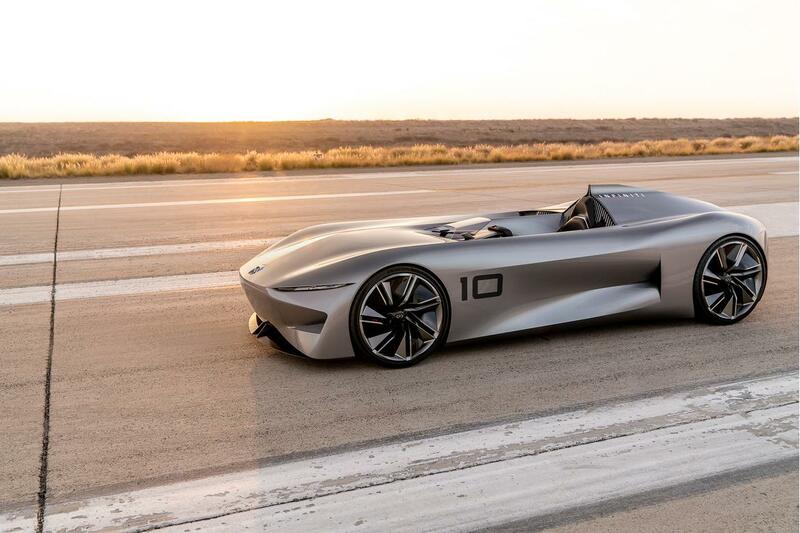 nearby were cars that looked wildly futuristic, like the infiniti prototype 10 and mercedes-benz eq vision silver arrow, while incorporating retro details and design touches into their dramatic exteriors. when all else fails, releasing lots of italian-bred horsepower, courtesy of cars like the ferrari 488 pista spider and lamborghini aventador svj, is guaranteed to impress any crowd — even in a field of ostentatious multimillion-dollar cars, all vying for attention. we've gathered a dozen of the best new production models and concept cars that made their global debut in california. some cost more than a new house (one with a gulfstream jet parked in the driveway and a yacht docked out back), while a few others remain pure four-wheeled fantasy machines. in crazy company like this, a car like the 573-horsepower acura nsx seems downright demure. 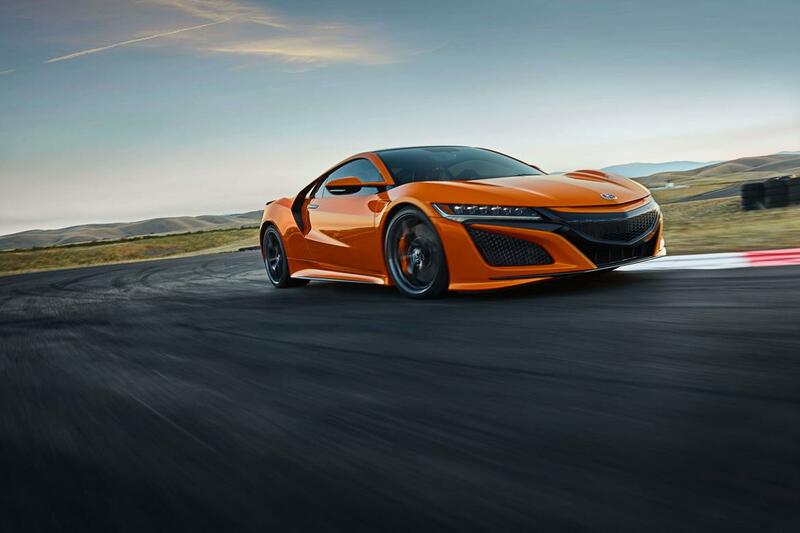 don't let the competition fool you: the 2019 acura nsx is an incredible performance machine that carries some subtle but important changes into the new model year. in terms of styling, the upper part of the front grille is now body-colored; the brake calipers are painted red; and eye-searing thermal orange pearl has been added to the choice of colors. acura has also upgraded the suspension with larger stabilizer bars and stiffer bushings as well as reprogrammed the standard all-wheel drive. 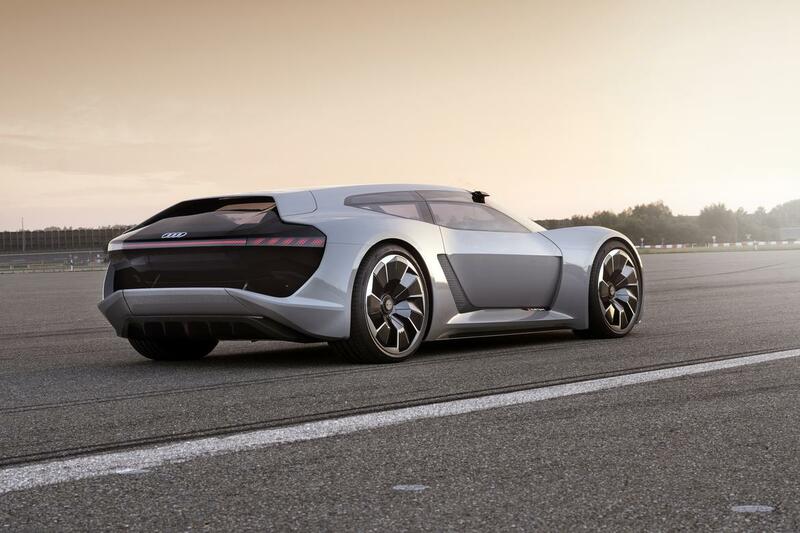 the audi pb e-tron is an electric sports car that can travel more than 300 miles, then be completely recharged in as little as 15 minutes thanks to this concept's 800-volt charging capacity. accelerating from zero-to-62 mph should take about 2 seconds, according to audi. one of this car's wildest features is its movable cockpit: all driving controls sit in a central tub, which can be moved from side to side in the interior. a central driving position could be chosen when attacking a racetrack before sliding it over to make room for a front passenger during the ride home. you're looking at bmw's brand-new z4 roadster — and also a toyota wearing a clever bavarian disguise. that's because the latest z4 was jointly developed between the two automakers, with toyota ready to apply its heralded supra nameplate onto its own upcoming version. 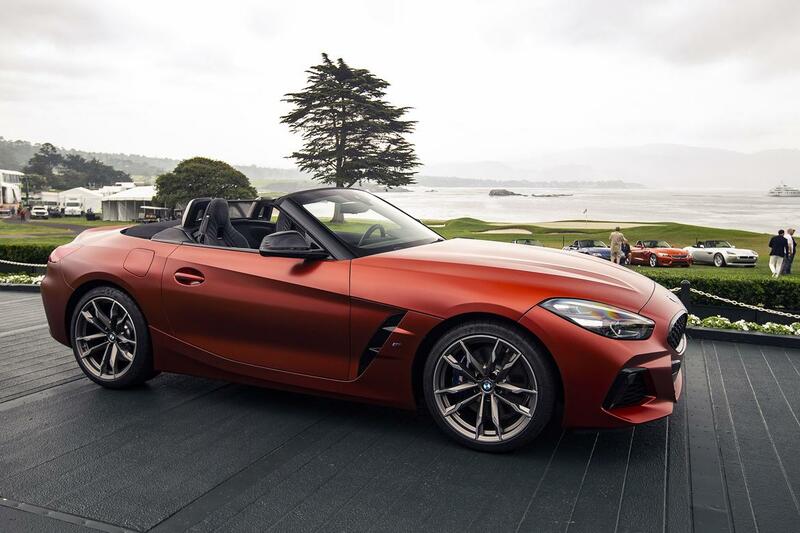 the bmw z4 m40i first edition shown at pebble beach is powered by an inline-six-cylinder used engine that delivers a total of 382 hp to the rear wheels. 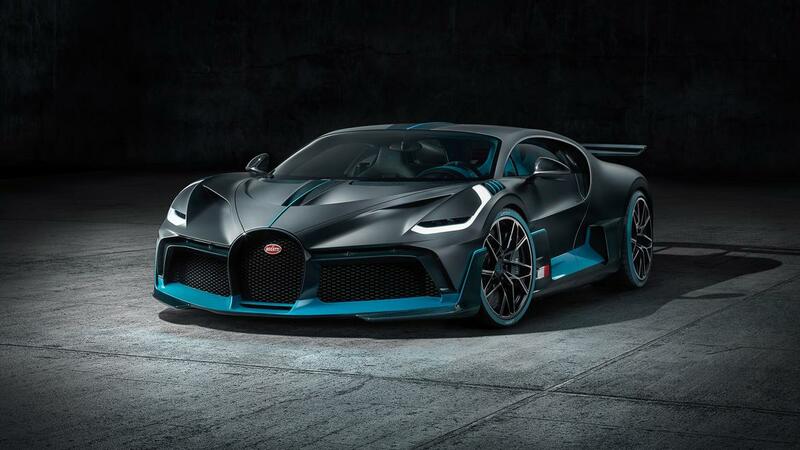 first edition models will come with special color and trim options once they arrive in dealerships sometime in the spring of 2019.
when too much is never enough, there's the bugatti divo. this special edition of an already-outlandish supercar takes performance — and pricing — to another level. lighter than the chiron it's based on and aerodynamically tuned for high-speed cornering, the divo trims 77 pounds of curb weight while adding nearly 200 pounds of extra downforce. and though the top speed of the divo drops to 236 mph (the standard chiron exceeds 260 mph), this 1,479-hp machine can pull 1.6 g's in corners. if you have roughly $5.8 million to buy a divo, you're already too late: bugatti confirmed all 40 have already found buyers. pretty much any ferrari is guaranteed to be something special. 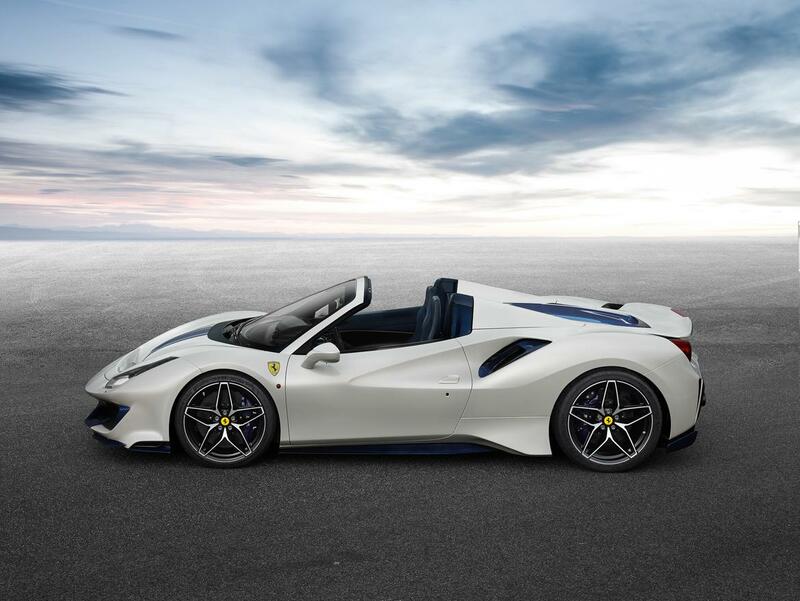 when the car in question comes with a twin-turbocharged v-8 producing 710 hp and happens to be the 50th convertible model produced by the revered italian automaker, well, the word "special" takes on a whole new meaning. as for the word "pista," it means "racetrack" in italian, and ferrari used engine ers trimmed weight for hot-lapping honors, their top priority. the interior carpets are gone, while even the door handles are replaced by lightweight straps to eek every ounce of performance out of the car. the ford gt is already known for being a 647-hp automotive throwback, created to celebrate ford's legendary success with its gt40 racecar in the 1960s. the mid- used engine ford gt comes powered by a twin-turbo v-6, cradled in a lightweight body and chassis that's crafted out of carbon fiber. the gt heritage edition borrows the famous gulf oil racing livery used by one of ford's 24 hours of le mans-winning gt40 racecars and applies it to this modern interpretation. visible carbon-fiber trim is used on the interior and exterior of the gt heritage edition, while unique 20-inch alloy wheels feature bright-orange brake calipers. infiniti is looking toward the past when planning for its electrified future. that's the case with the prototype 10, a sleekly angular concept car that hints at the japanese luxury brand's future design language. details are sparse about this concept's specs other than that it's fully electric and has seating for exactly one person onboard. this antisocial seating arrangement is offset by infiniti's commitment to include some form of electrification across its entire range of vehicles by 2021.
the idea of recreating a jaguar e-type, one of the most beautiful cars of all time, into a modern electric-powered sports car seems a fine idea — except this e-type electric conversion means modifying an existing car into an electric vehicle. that seems borderline automotive blasphemy! jaguar states the conversion helps "future-proof" the brand's classic models for many years to come. gone is the inline-six-cylinder used engine and, sadly, many of the vintage car's classic dials and gauges; in their place, flat-screen digital displays that represent the latest in cutting-edge tech (if not the final word in good taste). 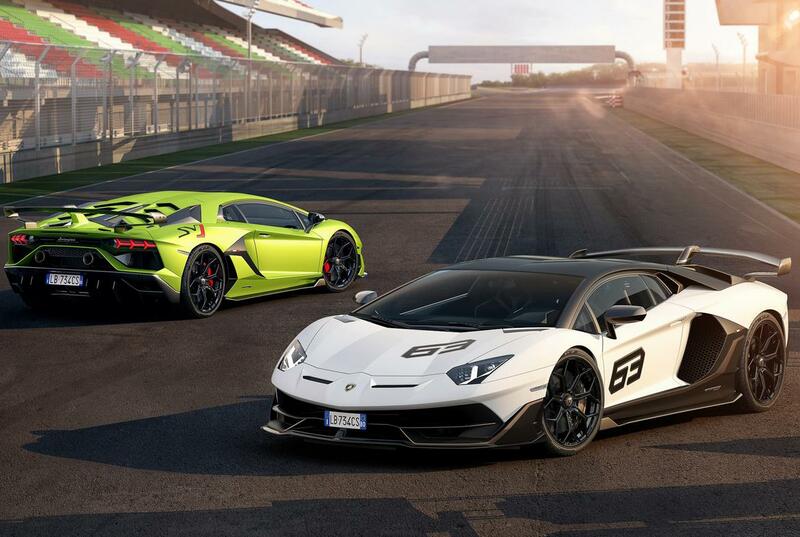 lamborghini says the aventador svj represents the ultimate in the brand's evolution of v-12-powered supercars. this translates to 770 hp in total coming from the gloriously over-the-top v-12 located behind the occupant compartment. active aerodynamics monitor and adjust front and rear spoilers and air intakes to add or minimize downforce exactly when needed. what might not have been said in lamborghini's announcement is that the days of the v-12 might be numbered; with turbochargers and electrification migrating to the mightiest of sports cars, this limited-edition model could represent a last hurrah for the naturally aspirated aventador. as the newest and smallest entry in the lexus suv lineup, the ux is certain to create plenty of buzz when it goes on sale in december. 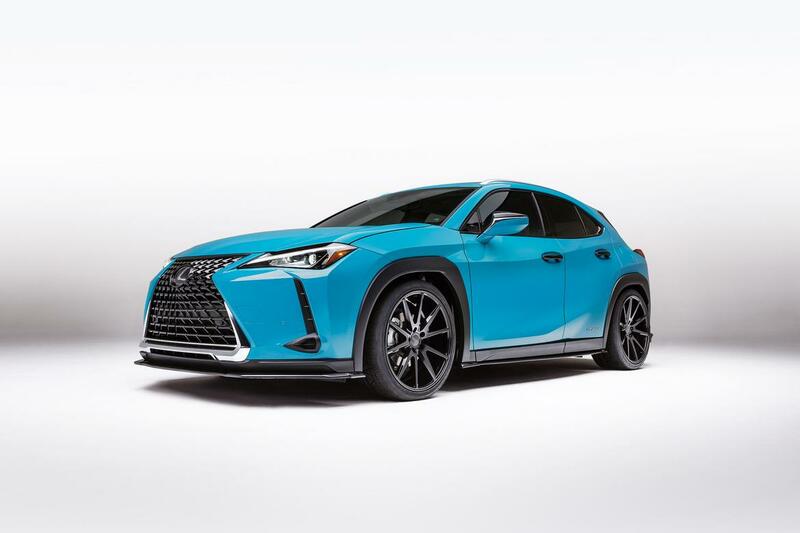 apparently, lexus is getting a little impatient, because the japanese luxury brand unveiled a specially tuned (and very blue) version of the ux during monterey car week. 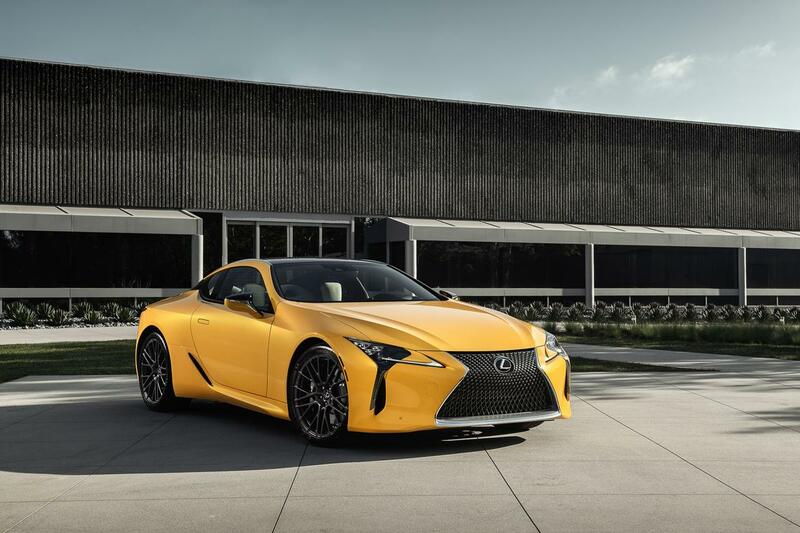 in addition to its lowered suspension and performance exhaust system, this ux features a roof-mounted, carbon-fiber bicycle that was inspired by none other than the now-discontinued lfa supercar. got spokes? this mercedes-benz concept car sure does — 168 of 'em at each wheel, to be exact. 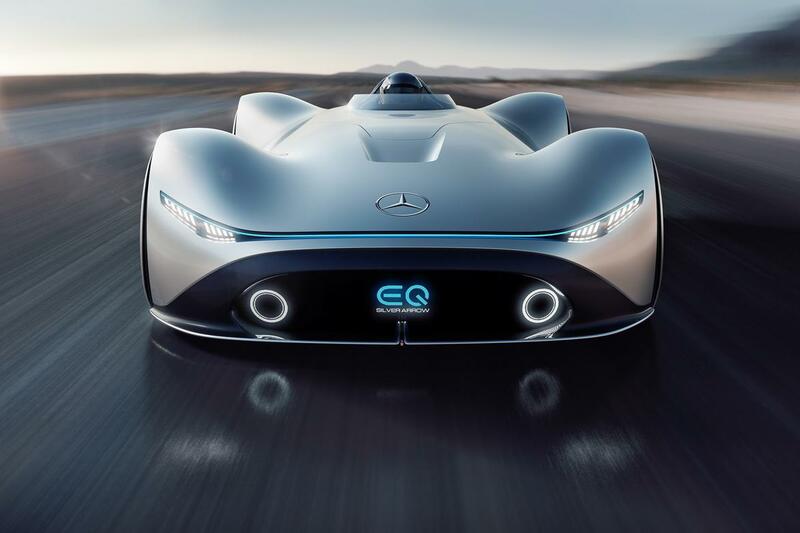 the eq vision silver arrow has a name that stretches almost as far as the car itself, which measures roughly 17 feet in length. incredibly, there's seating for only one onboard this 738-hp electric roadster, which also features a 3-d panoramic display behind the steering wheel. the curvaceous body is shaped out of carbon fiber and is covered in a silver paint that looks like liquid metal. as for those incredible-looking wheels, the center hubs are fixed, and each one of those tiny spokes is painted rose gold.